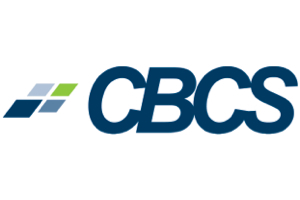 CBCS is a premier national collections partner, serving the healthcare industry for over 70 years. We bring more value to our partnerships, beyond competitive recoveries, by offering – multiple powerful data resources, proprietary custom scoring, a mature and comprehensive compliance infrastructure, in-house cutting-edge data security, and continual investments in innovative technologies. A reliable collection partner in today’s environment must be about more than just recoveries. CBCS brings the more. In today’s complex payments world, it’s critical to have strategists and consultants on your side to help you meet the opportunities and challenges you have. The CommercePayments™ team understands that your business comes with its share of challenges. We help you to anticipate, plan for and address these challenges by giving customized advice and recommending the right products and services based on your unique business situation. We have high-touch, high-service strategists dedicated to empowering your payments. But the payments business demands more and that’s why our team of consultants make the difference in helping you uncomplicate the complicated. Debt Collection Partners utilizes the latest technologies to best serve our clients. Our executive team collectively has over 50 years of debt recovery and collection experience. We believe that respect, integrity, communication, honesty and quality are the keys to our success. Partner With Us… Our People Make The Difference! 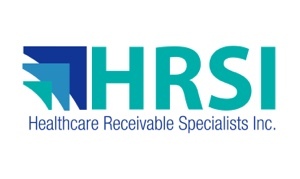 10 N. Independence Mall W.
HRSI has been customizing solutions for healthcare providers and self-pay patients for more than 25 years. We are an industry leader in uncompensated healthcare reimbursement through our compassionate approach toward resolving matters in patient access and revenue cycle management. HRSI developed cutting edge technology to optimize its efficiency in securing patient financial assistance, and reimbursement to healthcare facilities for services they provide. 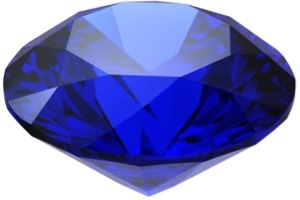 Premier family owned Collections and Extended Business Office provider since 1966. Core mission Relationship | Reputation | Results. Highmark Blue Cross Blue Shield West Virginia serves approximately 290,000 members through the company’s health care benefits business and hundreds of thousands of additional members through the Blue Card program. With offices in Parkersburg, Charleston and Wheeling, it employs more than 750 people. Highmark West Virginia is an independent licensee of the Blue Cross and Blue Shield Associaiton. 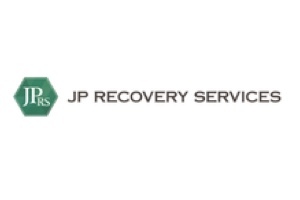 JP Recovery Services Inc. is a full service healthcare accounts receivable management company that provides collection support to credit grantors to improve cash flow and reduce aged receivables. All account follow-up activities are conducted with professional efficiency to maximize recovery while protecting client reputation. Respect, kindness and helpfulness aren’t words you commonly associate with healthcare revenue management and collection agencies. But those are exactly the words you’ll hear about us. We don’t just talk about it; we can prove it with our documented, industry-leading 97% Patient Satisfaction rating. KeyBridge is engineered to be different. Leveraging a patient-care approach, we are transforming the patient billing experience. Our healthcare solutions include: patient balance billing, bad debt collections, revenue cycle ancillary services and team training through our Master Classes. Uncommon people produce uncommon results. Our culture thrives on helping people succeed. As a 10-time winner of The Best Places to Work Award, give us a call to see how our programs can help you! Parallon brings decades of experience optimizing the financial health of our clients by addressing complex challenges spanning the revenue cycle. Parallon represents ten percent of the U.S. healthcare provider industry, serving more than 600 hospitals and 3,000 physician practices. Our tailored solutions include Medicaid eligibility and advocacy services, early-out, self-pay services, small-dollar insurance resolution, delinquent account collections, third-party liability and workers’ compensation services, extended business office and insurance services and physician billing and A/R resolution. Learn more at www.parallon.com. PatientMatters® transforms traditional patient registration and access systems with an approach that brings compassion and consumerism to the financial experience of care, helping hospitals and health systems offer highly-personalized financial solutions that improve satisfaction, cash flow, profitability and outcomes. Based on decades of experience, the PatientMatters IntelliPass® System brings together a comprehensive set of patient payment and advocacy solutions, along with intelligent workflow automation tools to ensure every patient is satisfied and providers are appropriately compensated. PatientMatters serves over 130 hospital and health systems in over 350 locations across the country, providing cutting-edge technology, financial tools, process transformation services with staff training and support to help deliver a new level of consumer friendly healthcare. Quadax provides revenue cycle optimization solutions to expedite payment, maximize reimbursement, and enhance visibility into your business. Our customized solutions for patient access, claims management, reimbursement management, denials, appeals & audit management, and business analytics give you full control over your processes, and process improvement. With our new Contract Management module, you’ll be equipped to prioritize work based on claims with the most value based on expected reimbursement, track cash flow with greater-than-ever precision, identify and analyze reimbursement variances, and recoup the dollars you’re owed. We build partnership with our clients, always listening, in order to keep them ahead of the curve. Quadax implementation and support teams provide the on-going personal training and attention your staff needs to achieve the results you expect. Through creative thinking and specialized technology solutions, we empower revenue cycle professionals to attain unprecedented performance metrics. RevClaims’ core business is Complex Claims – Third Party Liability/MVA/Slips & Falls, Workers’ Comp and VA Claims billing and follow up. Black BookTM Market Research ranked RevClaims #1 for Inpatient Hospital Complex Claims Management Services in both 2016 and 2017 per their surveys of over 2,000 hospital CFOs & RCM leaders. Since 2005, RevClaims has handled more than 1,000,000 accident and injury claims for over 100 community hospitals, health systems and trauma centers across the US. Our team of attorneys, paralegals and liability claims specialists work collaboratively to get injury claims billed and find maximum reimbursement from automobile insurance, workers’ compensation carriers, or any other third party liable to the patient. Privately held by its founding attorney and CEO, RevClaims does not outsource or offshore any of its work or operations. 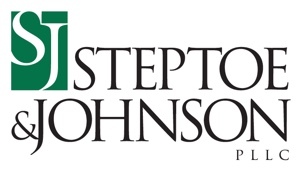 Steptoe & Johnson’s health care attorneys have extensive experience helping health care providers achieve their goals. Our health care lawyers work closely with administrators, chief executives, financial officers, boards, physicians, and staff to provide the resources they need to make effective decisions and find cost-effective solutions tailored to the needs of their organizations.